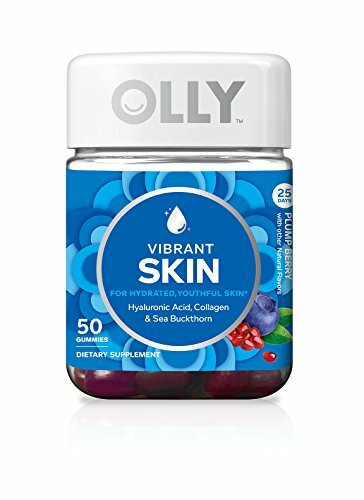 Olly’s Vibrant Skin gummies provide a potent combination of hyaluronic acid, collagen, and sea buckthorn to supercharge your skincare routine. Continued use results in hydrated, more youthful skin. They taste great, too! BEAUTIFUL FROM THE INSIDE OUT: At OLLY, we want the same things as you, like steady energy, better sleep, & glowing skin so we feel & look our best every day. We know true beauty starts with wellness, so our beauty gummy supplements focus on your health. NATURALLY TASTY GUMMIES: Why leave fun, chewable vitamins to kids? When something feels good, you're more likely to do it & nothing feels better than feeling healthy. OLLY gummy vitamins & gummy supplements make it easy & fun to get your daily dose. HI THERE. WE'RE OLLY: We've made it our personal mission to make nutrition easy to understand, so you can pursue good health without compromise. Taking nutritional supplements shouldn't be a chore, which is why ours are just as effective as they are fun. OLLY IS DIFFERENT: Try our vitamins and wellness boosts and discover for yourself how we're different. OLLY gummy vitamins, gummy supplements and protein powders are fun, easy and rewarding to fit into your daily nutritional and healthy lifestyle goals.